Share the post "Supporting Children’s Miracle Network Hospitals"
Many children are afflicted with common ailments that can easily occur during childhood, whether it’s asthma, broken bones, tonsillitis, chickenpox, measles, and mumps. Some children are faced with bigger challenges, such as birth defects and cancer. Hospitals like Children’s Miracle Network Hospitals are dedicated to providing the utmost comfort, care, and hope to millions of children that are faced with these challenges. Walmart and Pampers have collaborated to donate $200,000 to Children’s Miracle Network Hospitals in the month of June. Not only this shows support to the esteemed organization, but it also shows support for those 1 in 10 children in North America that are being treated at Children’s Miracle Network Hospitals. In addition, you’re showing your support by purchasing Pampers Swaddlers at your local Walmart since portions of the proceeds will go to the Children’s Miracle Network Hospitals. I have no personal experience but I like that they help so many children and families in difficult situations. I have not had a personal experience with CMN, but I have donated to this awesome charity many times! I have no personal experience with CMN. We make donations for them all the time. They do a lot of great things for a lot of great families. I don’t have any personal experiences with CMN hospitals, but I always try to donate when I can to CMN at stores that are accepting donations. I don’t have a personal story to share, but I have donated to them a few times. I do not have any experience with them but am thankful for what they do. Thank you! I do not have a personal story to tell. Just that I’ve heard great things about these hospitals. My best friend had Leukemia growing up- Children’s Hospital took good care of him. I do not have a personal experience with CMN, but I have donated to them in the past! We haven’t had a personal experience either but have donated.I think it is wonderful they help children and their families! I do not have personal experience but I know they do great work. I don’t have any experience myself, but great cause! I don’t have a personal story but I am glad to know that there is a CMN hospital near me if my grandchildren ever needed help, it is a wonderful Org. I don’t have a personal experience with the Children’s Miracle Network, but I admire and appreciate very much the work that they do. They save children’s lives everyday! 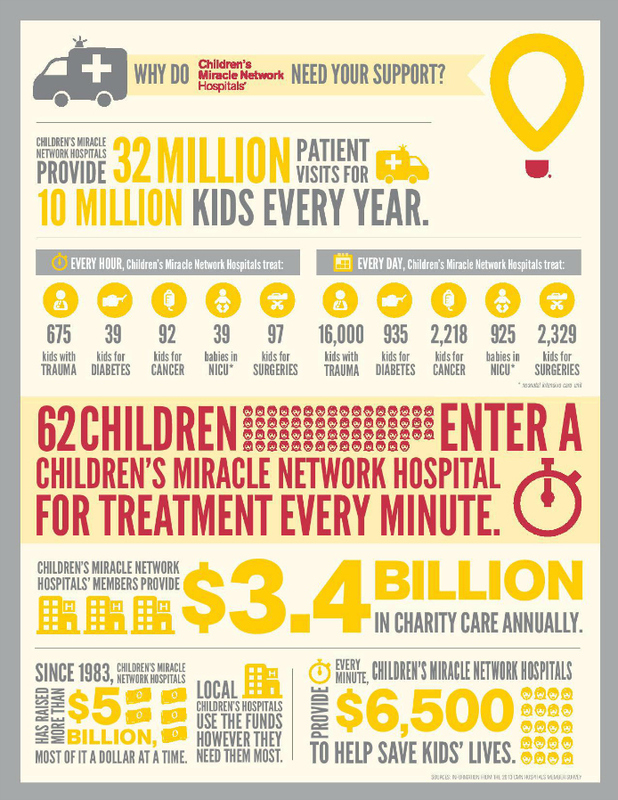 I do not have any experience with Children’s Miracle Network, but I have heard wonderful things about them. I have had a personal experience through my sister. They helped so much when my nephew was born with so many complications. Each person was so kind, dedicated and most of all gave her the hope she so desperately needed. I have no personal experience with them.